Bruno Clair makes wines in the Côte de Nuits region of Burgundy. They have a 24 hectare estate that is converting to organic agriculture. Rose of 100% Pinot Noir with a third direct pressed and the rest macerated for 2 or 3 days. Fermentation is done with native yeasts. "Their method of some whole cluster maceration assures a good structure and brings out elegant Pinot Noir aromas. 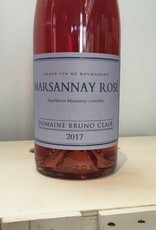 Bruno Clair’s rosé pays homage to the family’s history as it was his grandfather, upon returning from the war in 1919, who decided to try vinifying his pinot noir grapes into rosé wine for the first time in the Marsannay area. The delicate, soft, and fruit-forward result eventually became all the rage in Dijon cafés. 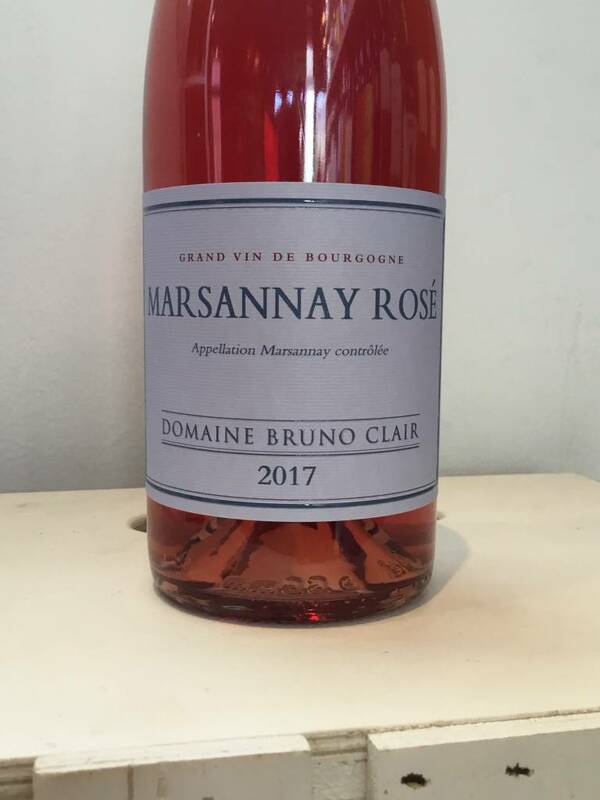 Rosé wines from Marsannay gained AOC status in 1987."